The shambolic introduction of Thameslink service has hit a new low today. According to RealTimeTrains, there has been no Thameslink service to Medway in Kent on the Greenwich and Woolwich line for seven hours, with no train along the line leaving Farringdon since 11:07. One was due to run leaving Farringdon at 18:07 but hasn’t left Luton so doesn’t look like it’s running. And according to RealTimeTrains, many trains have simply vanished from the time table. The 15:07 was listed as cancelled and then nothing shows until the 18:07 (which looks to not be running). Does this wholesale removal make stats look better? Well, less dire. These service removal has cut 33% of trains per hour at stations from Deptford to Westcombe Park. It’s also left stations in Kent such as Higham completely without a service. Transport Secretary Chris Grayling came out yesterday and tried to pin almost all blame on Network Rail. They’ve made some errors but did finish London Bridge rebuild work on time. The overwhelming flaw is driver numbers, lack of training and trains. And that has been known for years with the Department for Transport letting a direct concession to GoVia to operate Thameslink, unlike most franchises. Thameslink are reliant on drivers working long overtime hours and even then do not have enough staff. Other frontline staff have faced a barrage of criticism from passengers since the flawed introduction and one wonders what affect it’s having on them. Thameslink chief Charles Horton must also shoulder much criticism. His lack of communication will be well know to Southeastern passengers, where he worked for years before being promoted (!) to Thameslink. He has been watching the May 2018 start date for years. There’s no way he could not have known the severe shortcomings. Neither show any sign of resigning. Yet as this London Reconnections article points out, the electoral damage could be large. The Tories have a long standing issue with votes in urban centres and cities, and Teresa May just does not appear to “get” housing and transport. Transport many not be in top five issues nationwide, but in cities its far more prominent. How long will Tories in London and the Home Counties (and northern cities which have a similar shambles right now) watch on as Grayling throws votes away? And as I write (1830) you can’t get up to town via the Greenwich line on any train service whatsoever — and haven’t been able to for two hours. I imagine some of this may be due to the signalling problems at Greenwich on the London-bound line this evening. As I doubt Thameslink drivers are trained on diversionary routes, I imagine they didn’t want to send any towards Rainham until they were certain they could get the trains back. I may be wrong but I believe it predates the problem. They were simply removed from the timetable. Signalling issues then extended no service beyond seven hours. Lack of diversionary knowledge is an interesting point. Another flaw in the scheme. I wonder if I’m alone in feeling a bit hard-done-by here. 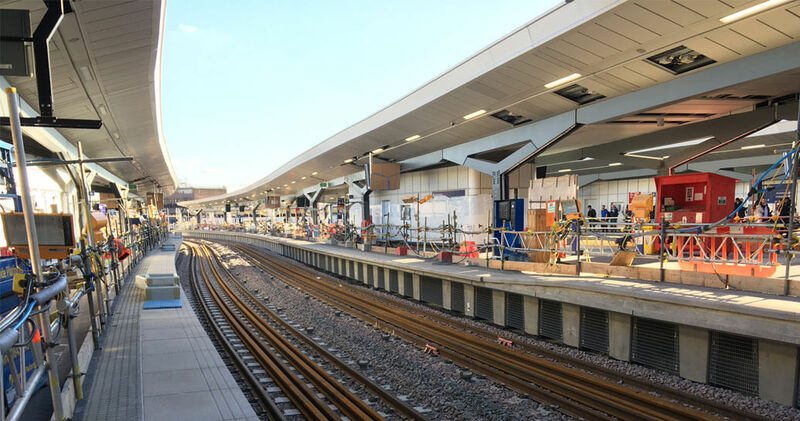 We endured years of engineering works, delays, slow journeys and cancellations all in the name of Thameslink and the rebuilding of London Bridge, which would make journeys much faster, we were told. Yet the net result of this on my commute is that the frequency of the Southeastern services that I use every day has been reduced by 33%, and those that remain make their journeys into London in the same amount of time as they always have. Sure, it’s myopic of me not to acknowledge that the introduction of Thameslink trains means easier journeys into Blackfriars and Kings Cross for customers who want those services. But I don’t think that I’m in the minority here; I’ll bet that there are hundreds of commuters who have seen basically no benefit from the Thameslink works, despite being inconvenienced for years, and of course with the usual over-inflation yearly ticket price increase. Ah well. I’m still holding out hope that Crossrail will be the panacea that it’s billed as. Thameslink has been 18 years in gestation – it started off as Thameslink 2000 – and this is the result. I used to live in an area that was going to be affected by all the works to facilitate this, and made several representations to the various hearings. I have since moved away but, on this evidence I needn’t have bothered. They seem to have sorted out the timetable as I spotted a Thameslink train departing from Greenwich yesterday heading down country. There’s none at all today though. SE seem to have taken over their 2 trains an hour. All very odd. Northern are having pretty much the same problems as GTR. Which is more likely? Both TOCs have coincidentally had exactly the same problem, or the one company in common – Network Rail – is the one with the problem? Many of Northerns issues are down to electrification running late which is an NR problem. NR however managed to complete London Bridge rebuild and approaches on time, also the core upgrade.